Learn and practice the skills to implement a simulation training program in your facility. Only 8 team slots available, so register early! Bring your hospital team of 3-5 to learn techniques for running effective simulation drills. Each team will receive and practice using their own Mama Natalie model. Skills stations will include Quantitative Blood Loss, making blood for drills, and setting up a tamponade balloon. 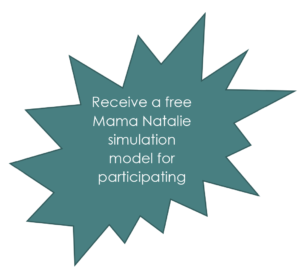 Receive a free Mama Natalie simulation model for participating. Out of stock! 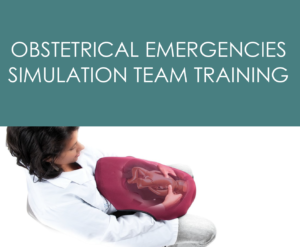 Obstetrical Emergencies Simulation - South Charleston	 Learn and practice the skills to implement a simulation training program in your facility. Please limit your TEAM to 3-5 people. Only 8 team slots available, so register early! To learn more about perinatal outreach education opportunities, contact Shauna Lively, Perinatal Outreach Education Director, at (304) 516-1083 or shauna.lively@wvperinatal.org.